For those most familiar with the classic synth-pop Gary Numan, which included a string of hits such as ‘Are Friends Electric?’, ‘Cars’, ‘Down in the Park’, ‘Music for Chameleons’, ‘She’s Got Claws’, etc, this will be quite different. In ‘Savage (Songs from a Broken World)’ the careful smooth constructions of the past are mostly y abandoned in favour of heavy industrial and Gothic rock. However true to his apparent unageing construction, Numan’s vocal presentation retains its distant, serious, and android-like persona. Of course for those who have followed Numan in this past thirty years this is not a surprise. Following his big hits c1978-82 synth experiments with funk and jazz-fusion after that were certainly less successful, and indeed for a while Numan was a bit of a whipping boy for the music press, and subsequent attempts at making a more commercial sound were not successful either. 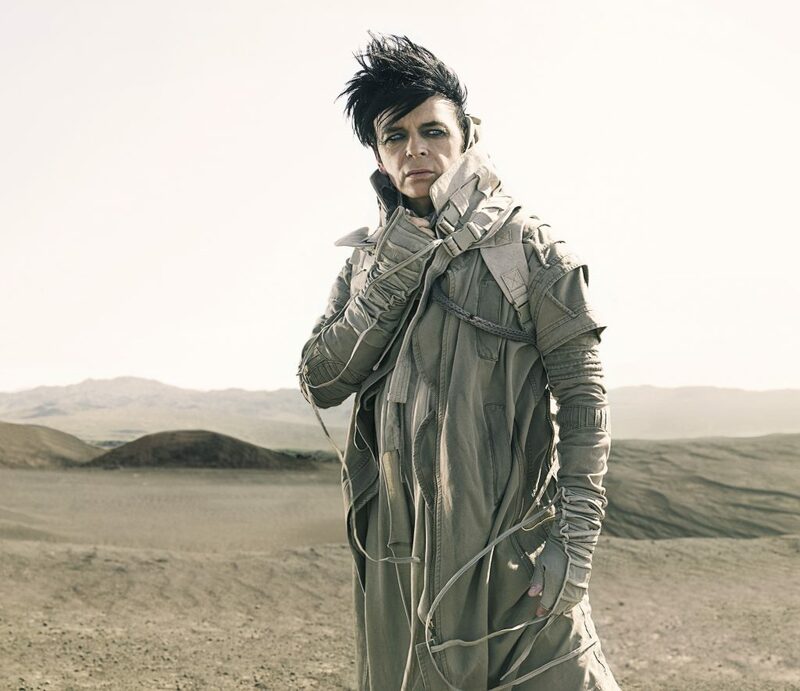 Numan himself recognises the decline in his autobiography: “What I actually did was progressively bury the very style that my fans had enjoyed… I didn’t realise what I was doing … I was lighting the fires of what came close to being my funeral.” (Praying to the Aliens: An Autobiography). If one is to identify the point of change, ‘Sacrifice’ (1994) seems to be a good place. Whilst not a enormous success, it did reflect a return to the brooding agenda which Numan started with, now with a combination of dark wave electronica and Gothic rock, which would be continued with the single “Crazier” (2003), the album ‘Dead Son Rising’ (2011), and the immediate thematically similar predecessor, and equally superb, ‘Splinter (Songs from a Broken Mind)’ (2013). Like ‘Splinter’, ‘Savage’ is a concept album, with a consistent theme throughout all tracks of a world destroyed by global warming, and even more specifically, inspired by Donald Trump (“Donald Trump appeared and started to make his moves for the election. He started to say things like global warming was a hoax and many other things I thought were a bit silly and so I started to write more songs about global warming”). Stylistically it is a varied album. 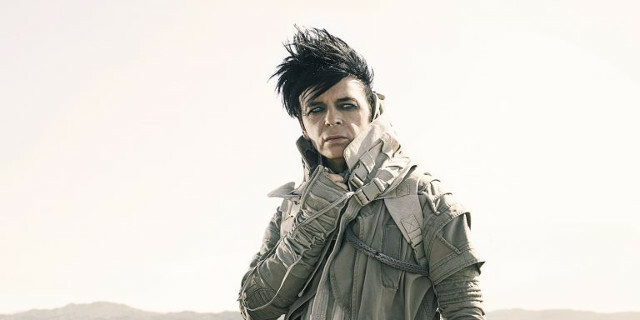 The opening ‘Ghost Nation’ starts slow, with evocative industrial, elements before moving into guitar-heavy industrial rock with Numan’s voice smooth and gentle. In a wonderful turn of influence, it is very much in the style of Nine Inch Nails. The following ‘Bed of Thorns’, ‘My Name is Ruin’, and ‘The End of Things’ includes many great North African and Middle-Eastern operatics, with Ruin also replete with magnificent gothic-industrial anthem elements. After these are a number of slower pieces, with ‘And It All Began With You’ more reminiscent of the classic Gary Numan, with ‘When The World Comes Apart’ with some operatic elements and ‘Mercy’, ‘What God Intended’ engaging in experimental and dark-wave meanderings, whereas the final two tracks, ‘Pray for the Pain’, and ‘Broken’, provide rhythmic and upbeat introductions, industrial mains, and operatic choruses. As is my wont, this review is well and truly later than it should be, but hindsight can be very useful to distinguish that which is hyped from lasting. 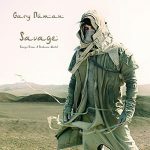 Numan’s ‘Savage’ is both, receiving critical advocacy on its release which was reflected in the charts (except in the United States, strangely). Certainly it deserved to do better, but nevertheless it provides lasting, complex, and deep levels of satisfaction. Varying from the very good to great, ‘Savage’ is an impressive and prophetic album. Thank you for the review. Interesting. It’s on Spotify… off for a listen.